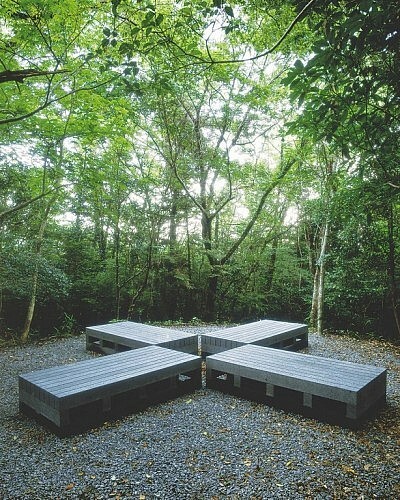 This work，composed of andesite from the volcanic Sakurajima region and placed on the ground of Kirishima，is intended for people to sit and relax on. The work is designed to be comfortable no matter how the viewer sits，revealing consideration on the part of the artist. How is variety given to the work by assembling one basic form in different ways?